We've got a track record of turning social media pages into lucrative sources of revenue and can help you identify, develop, engage and ultimately monetise your social media pages. Chris has been featured in a Google Case Study, quoted in a number of Google's own publications and has worked with clients ranging from start-ups to FTSE 100 companies, with budgets ranging from £1K to £200K+ per month and with more than fifteen years experience, it's fair to say that Chris understands the mechanics of the internet and knows what it takes to achieve profitability online. "Lissori really understood our needs as a business and brand, and what we wanted to achieve from being online. There was great communication throughout and Lissori offered a complete package from start to finish, and beyond." Too often companies view their social media pages as vanity projects, they like to talk about the amount of followers / fans they have but often fail to use social media as a viable and potentially lucrative additional channel. This represents a huge wasted opportunity. We've helped clients develop six figure audiences, but more importantly we've then helped turn those audiences into lucrative sources of revenue. If you'd like to find out how we can help you develop your social media strategy, drop us a message today. 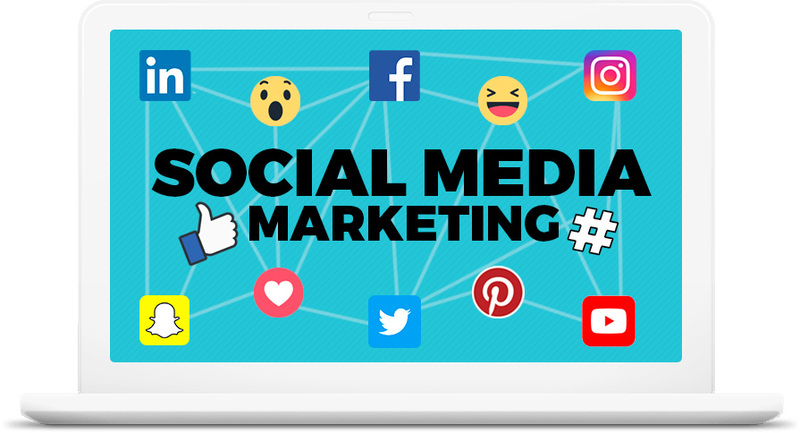 We've got experience with all of the popular social media channels and can help you develop a lucrative social media strategy. Whether you need help with Facebook, Instagram, Twitter or another platform, we've got you covered. With over 2.3 billion active users, Facebook is still the most popular social media platform by a long shot, we can help transform it into a source of revenue. Instagram now has 1 billion active users and can be a particularly effective marketing platform for those in the fashion & beauty industry. Twitter can't match the audiences of Facebook and Instagram but still has over 300 million active users and can be an effective channel. Incredibly, Pinterest has been around since 2010 and has an active user base of 200 million. It can be effective for the fashion, beauty and design industry.